In 2015, I gave myself a little creative challenge: create a new color palette every month, each inspired by a photograph I'd taken that same month. I take photos all the time, so the first part was easy. Toward the end of each month, I'd review the photos to determine which one best captured how I felt about the past 28-31 days. This was more challenging than I originally anticipated: a lot happens in a month, and separating the content of an image from the mood it evokes requires quiet time and introspection. I tried to focus on the spirit of the image as well as the colors contained in it. Once I'd made my selection, I'd sample colors from it to generate a palette. I limited myself to five swatches of equal size, a constraint designed to equalize things so no single color would dominate the month. The only purely aesthetic concession I made was allowing myself to order the colors for harmony. 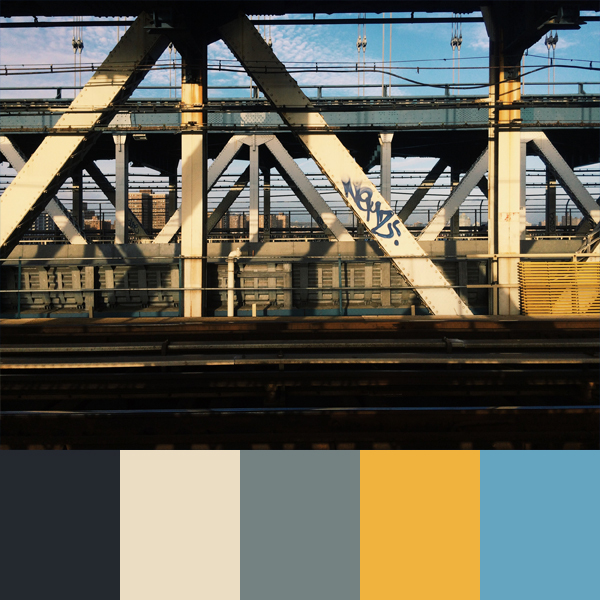 When I was done, I posted the resulting palette with photo on my personal blog. When I started, I knew I'd combine all the color palettes at the end of the year, but I only ever thought about one palette at a time. I wanted to reserve some serendipity for the final palette, which you can see above. Admittedly this palette is very personal, and yet I wonder if others will try to figure out what it says about the year I had. It certainly inspires reflection for me and yet, if I'm honest, I also see my own personal aesthetic creeping through. These are colors I generally gravitate to as a designer, so even though I tried to dwell in the realm of emotion, clearly that wasn't entirely possible for me. 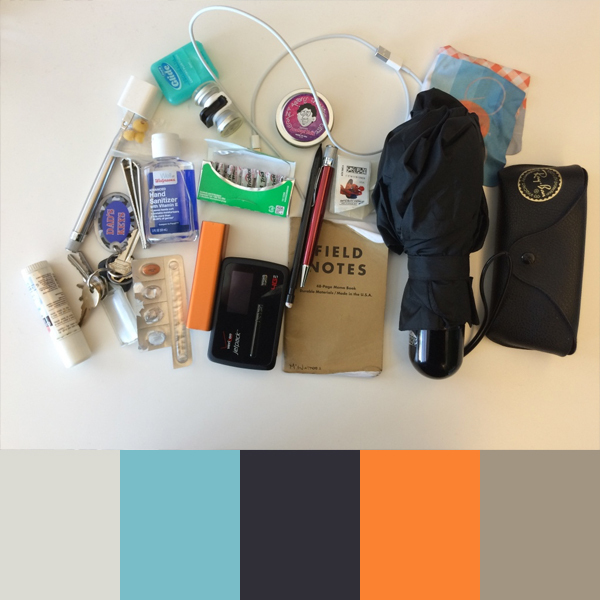 The 2015 Color Palette Project was challenging and time-consuming, but also good fun. I haven't figured out what I'll do for 2016, but I can say with certainty that doing something separate from everyday work / life was worth the effort. 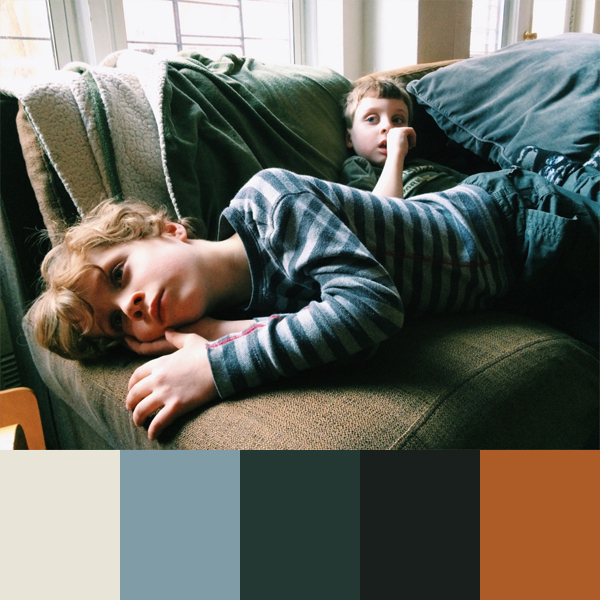 Beginning in January 2015, I created a new color palette each month. This is the final installment in my little experiment, and below is the image that inspired it. I'll be sharing a roundup of all palettes from 2015 shortly—stay tuned. I'm posting a new palette each month for 2015—one more month to go! This is November's palette. It was inspired by the photograph below. I'm posting a new palette each month for 2015. This is October's palette. It was inspired by the photograph below. I'm posting a new palette each month for a year. This is September's palette. It was inspired by the photograph below. Here are all nine palette posts so far.